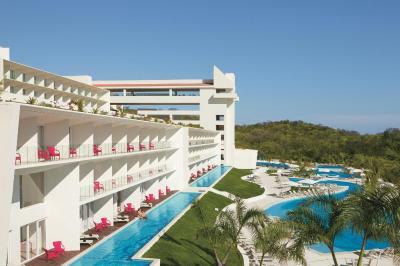 Lock in a great price for Secrets Huatulco Resort & Spa – rated 9.1 by recent guests! 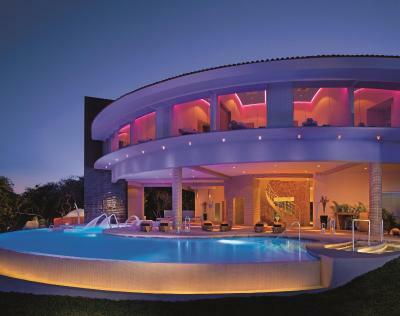 We love the pool area. The personal kind and helpful. Housekeeping so nice and always doing a great joob. 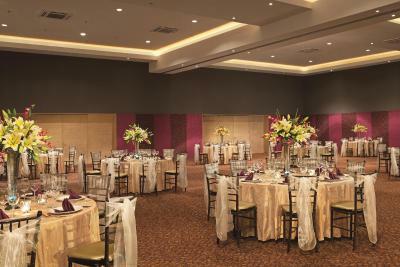 The palce is great, the staff is amazing and the overall service is everything you can expect. 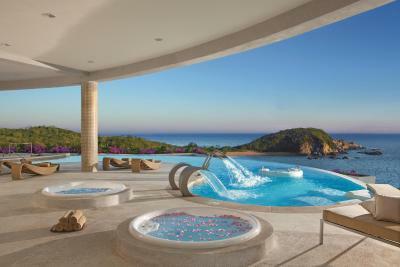 The location of the resort is amazing. 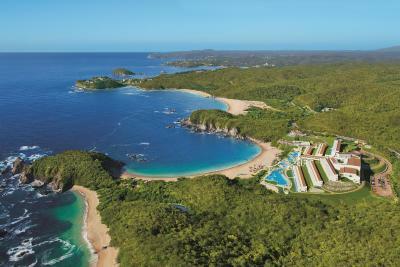 It's secluded with no other hotels or resorts in the area. There is a private beach just steps away from the pool. There are several pools available and the bartenders were great. The rooms were spacious, clean, and everything we imagined. 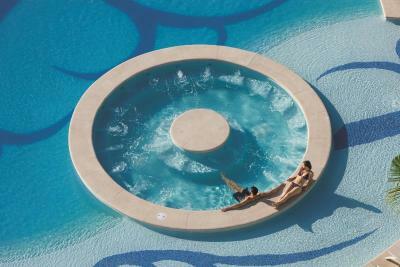 We got the swim-out option but we rarely used it as the occupancy was not as high as expected in the main pool area. The breakfast buffet at Marketplace had great options for everyone (vegetarian, gluten-free, vegan), and the room service was great. The Entertainment Team was hilarious and very welcoming as we participated in 5-6 planned activities for our stay (water volleyball, kayaking, water aerobics, and more). bathroom was great. Had the swim up pool and that was fantastic. They offered all types of pillows to accommodate all guests and the bed was the perfect softness. Excellent location - on its own bay with private beach. Great friendly staff and lots of activities. Quiet and peaceful. Unexpected positives: tennis court and teacher are great, as were other activities available like paddle boarding, kayaking, etc. Preferred status is a great idea. Tried most restaurants and food was consistently good quality and variety, particularly the breakfast is wonderful! It was a beautiful location. The staff were lovely. Friendly,efficient and helpful. In Castaways a special mention should go to Laura and Adelaida Contreras Zurita. The staff is amazing, the location is great. The breakfast is really good. The SPa is superb. 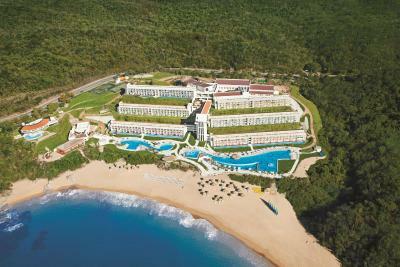 Fantastic hotel, beautiful beach, pools, large variety of food in many restaurants. Everyone from the staff is really so friendly and make you feel as a special guest. Servis is great, even the room servis and everyday fill of minibar is for free (preffered club room) which we appreciated very much.All property is very clean! Special thanks to our concierge Eric for being so professional. We will be back! Everything was great we felt like in a little paradise. 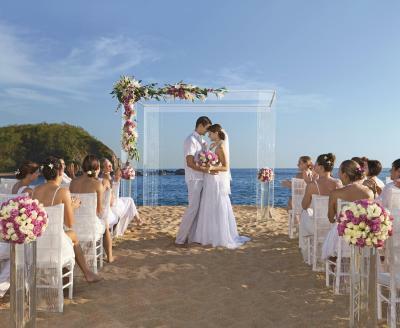 Secrets Huatulco Resort & Spa This rating is a reflection of how the property compares to the industry standard when it comes to price, facilities and services available. It's based on a self-evaluation by the property. Use this rating to help choose your stay! 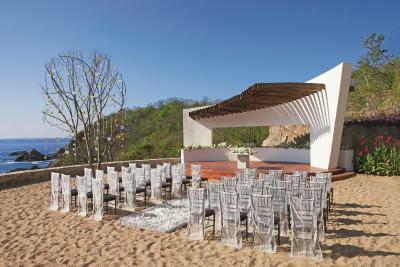 One of our top picks in Santa Cruz Huatulco – and a guest favorite. 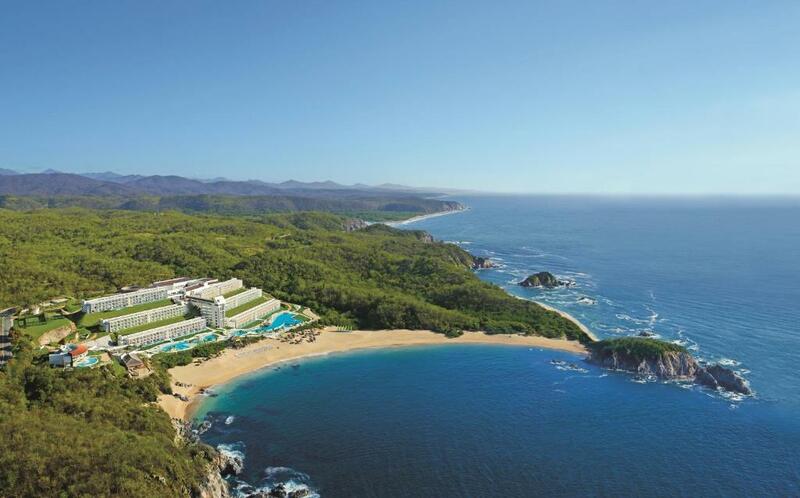 Set on a private beach in Conejos Bay, Secrets Huatulco offers luxury amenities like rooms with minibar and balconies, 24-hour room service and a spa. 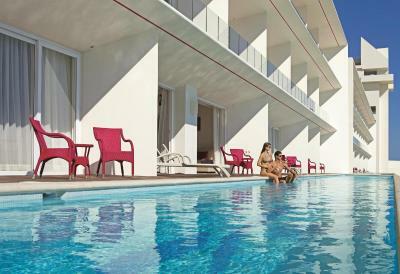 This adult-only Resort features a large outdoor pool, a gym and an all-inclusive plan. 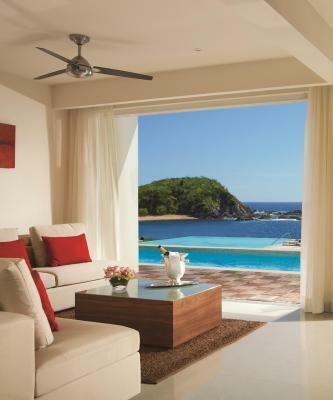 The air-conditioned rooms at the Secrets Huatulco come with a Satellite flat-screen TV, an iPod docking station, a CD and a DVD player. They also feature a private bathroom with hairdryer, bathrobes and slippers are included. 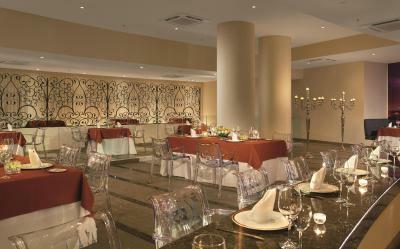 Guests can choose between 8 gourmet restaurants and 4 stylish bars, no reservation or wristbands are needed. 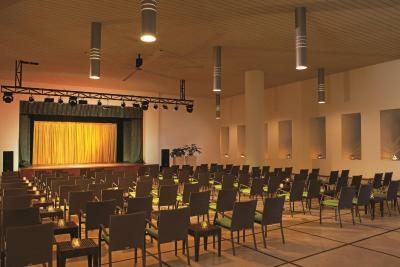 The hotel also has a nightclub and daily entertainment staff. 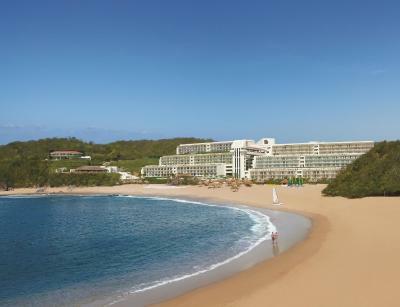 Secrets Huatulco Resort & Spa is in a private hotel area, and it's a 30 minute drive from Huatulco International Airport. 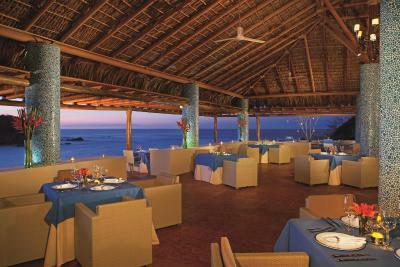 The center of the city can be reached in 21 minutes by car and Puerto Escondido is one mile away. 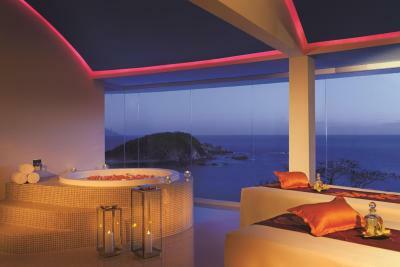 When would you like to stay at Secrets Huatulco Resort & Spa? This stylish room has air-conditioning and features one king size bed or 2 double beds. It comes equipped with a minibar, a Satellite flat-screen TV, a safe, CD-DVD player and an iPod docking station. The marbled bathroom has a hairdryer. Bathrobes and slippers are provided. 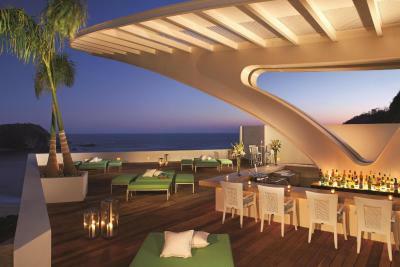 The room has a balcony with views of the Sea. This stylish room has air-conditioning and features one king size bed and a private hot tub on the terrace. 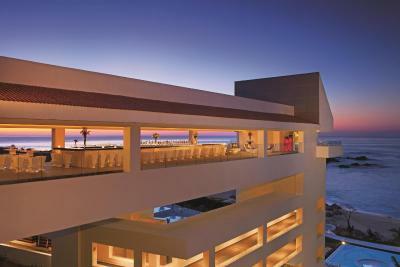 It comes equipped with a minibar, a Satellite flat-screen TV, a safe, CD-DVD player and an iPod docking station. The marbled bathroom has luxury amenities, bathrobes and slippers. This stylish room has air-conditioning and features one king size bed and a private pool. It comes equipped with a minibar, a Satellite flat-screen TV, a safe, CD-DVD player and an iPod docking station. Free Wi-Fi access is available . 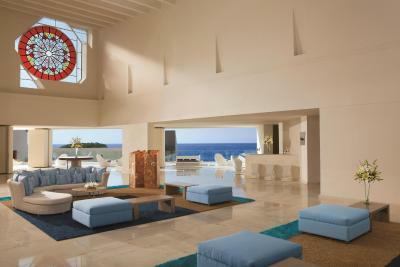 This spacious suite has air-conditioning and features one king size bed and a living area. It comes equipped with a minibar, a Satellite flat-screen TV, a safe, CD-DVD player and an iPod docking station. It has a balcony with Sea views. The marbled bathroom includes luxury amenities, bathrobes and slippers. 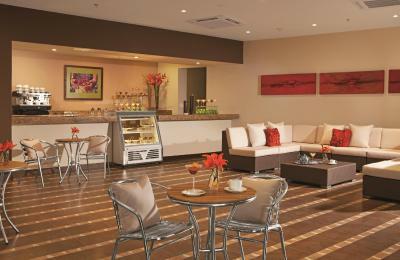 Free Wi-Fi and Exclusive Lounge access are available. This suite has a balcony, spa bath and CD player. This suite has a balcony, DVD player and bathrobe. 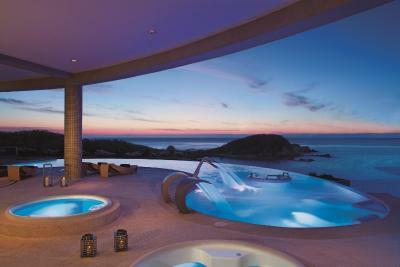 House Rules Secrets Huatulco Resort & Spa takes special requests – add in the next step! 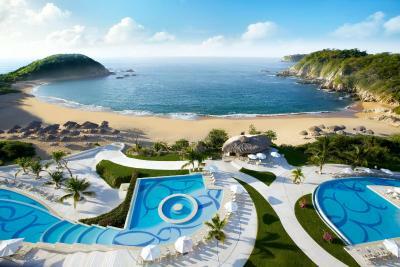 Secrets Huatulco Resort &amp; Spa accepts these cards and reserves the right to temporarily hold an amount prior to arrival. 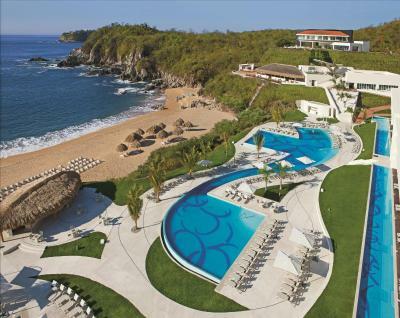 Secrets Huatulco Resort & Spa accepts these cards and reserves the right to temporarily hold an amount prior to arrival. Casual dressy – Bermudas (long shorts or capri dress pants), sneakers/ tennis shoes or sandals. Elegantly casual dress code – Sneakers/ tennis shoes or dress sandals, polo dress shirts. No sleeveless shirts or flip-flops. Long pants required for men. Formal for men: long pants, collared shirts and dress shoes. For women: blouses, skirts, slacks or dresses and dress shoes. (Bordeaux). All restaurant openings alternate throughout the week. All restaurants are nonsmoking; reservations are not required. The only good thing about the Club upgrade was breakfast in Castaways. The club room is frankly awful - a pokey little room attached to an office. The extra in our mini bar was miniature Bacardi - when I said I hated BarcardinI was told there was nothing else. Food is disappointing - too fussy and little flavour. The seafood restaurant has little seafood. The Teppanyaki is fun but the food bears no resemblance to the Japanese version. 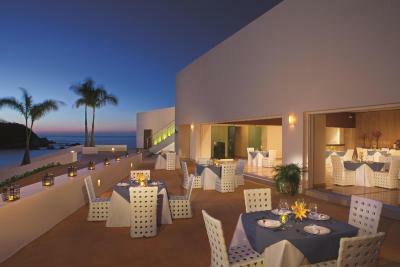 Despite the different restaurants in the Resort , we were not impressed by the menus and their quality. Suggestion: more vegetarian & vegan options. The beach specifically is kind of rough no so nice to enjoyed. In the restaurants miss to introduce more seafood on their menu's and the spice restaurant needs more attention on the food taste. Some maintenance details could be fixed better. “Preferred” bar which has premium alcohol is in an inconvenient location (near lobby) rather than near a pool or beach. To be fair they did offer to bring down a bottle of anything to the beach bar and keep it for us but a better location of the whole bar itself would be a nice improvement. Booking.com did not meet my expectations. I paid for this room months in advance but unfortunately Booking.com did not release my payment to the hotel until the 3 night. Thankfully the hotel was able to wait on them and it did not mess up our trip. The food was decent. Some restaurants were better than others. The location is far from the city of Huatulco and about a 30 min taxi ride from the airport. If you want to get away, this is great. Sheets on the bed were really nice quality but too small for the bed. Room was not cleaned that well when we arrived but we did change the room we wanted for the jacuzzi room at the last minute so they may have rushed the clean. Lovely hotel. All inclusive was for premium drinks and really good food. Really great beach and a swim up bar is always fun. This is the third time I have stayed at this hotel and I really like it. If you get a chance get a snorkel and boat trip around the bays as this is always fantastic. So many colourful fish. The sand is super coarse, very hard to walk on. There are over-indulging adults puking and carrying on everywhere. The room smelled like mold (we looked at two other rooms to be sure that they all smelled like mold - it's coming from the A/C which needs filters cleaned). The good booze was not included. Amazing training - the service was impeccable. 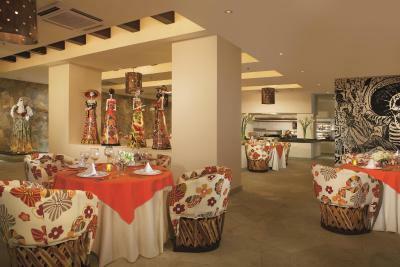 The food was surprisingly good, the bed was comfortable, the facilities were fine.